How S Korea ferry disaster unfolded Jump to media player The captain of the South Korean ferry which sank in April has been found guilty of gross negligence and sentenced to 36 years in prison. Lucy Hockings explains how the disaster unfolded. South Korea Ferry disaster timeline Jump to media player What we know know about how the disaster happened. 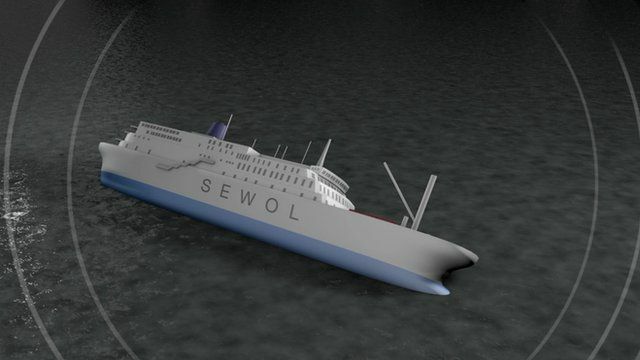 What caused S Korea ferry disaster? Jump to media player The reason that the South Korean ferry carrying 475 passengers began listing and then sunk has not yet emerged, but the manner of the evacuation has already been criticised. The captain of the South Korean ferry which sank in April has been found guilty of gross negligence and sentenced to 36 years in prison. The Sewol ferry was carrying 476 people when it went down. More than 300 died, most of them school students. Lee Joon-seok was among 15 crew members on trial over the sinking, one of South Korea's worst maritime disasters. Prosecutors charged him with homicide and called for the death penalty, but judges acquitted him on that charge. Lucy Hockings explains how the disaster unfolded.